• two special upper shock mount bolts 3 5/8” long with 1/2” UNF and 7/16” UNF ends. This kit is designed to fit 1937-48 Ford flathead axle bells with 3-1/4” bolt pattern. It is cast in Ductile SG Iron in New Zealand using virgin materials. 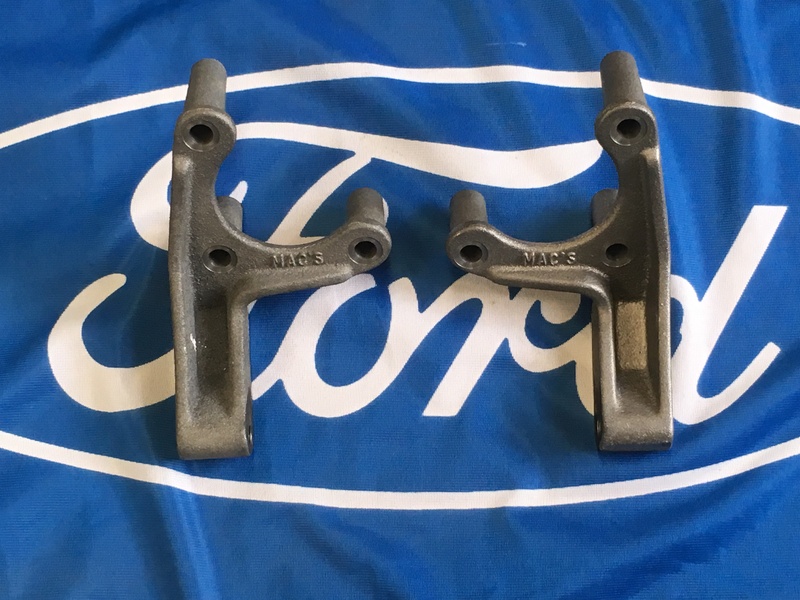 The bracket bolts to the factory axle housing mount at three points and positions the lower shock mount further in compared to a standard 42-48 bolt on shock mount where the lower mount point is 1”- to 1-1/2” off the brake backing. The brackets are designed to accept 5/8” eyes (upper & lower) in the shocks of your choice.